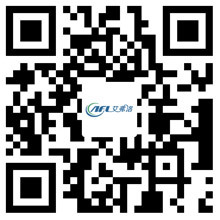 Industrial Process Where Using Centrifugal Fan - Hangzhou Airflow Electric Appliances Co.,Ltd. Centrifugal / radial fans provide high pressure airflow, requiring several industrial applications and air pollution systems. Centrifugal fans are constant in volume and high sensitivity conditions such as temperature is too high or too low in corrosive gases, acid gases, etc. There are several ways that centrifugal fan can be used as an industrial process for fans such as conveying air / Drying, cooling, material handling, air circulation and so on. From small factories to heavy industrial applications, centrifugal dust collector in the dust removal process has a wide range of applications. Ash removal requires extensive centrifugal fan type, working principle of pressure type system and type of depression system. For example, in the wood industry, the need for pressure-type systems, centrifugal fans and radial blade types are usually used to move dust particles directly through the fan. The ash removal process may also be a fall-off system in which a backward tilt, airfoil or flat blade centrifugal fan is installed in the kiln or in the filtration system to remove particles in the air. The type of centrifugal fan required for transport depends on the density of the material to be transported in the industrial process. Since the industrial process requires the handling of various materials through different operating procedures, the fan should generate enough air to move the material and deliver it to the destination. Typical centrifugal fans for material handling are high-pressure radial fans or industrial exhaust fan impellers. If the material to be processed or conveyed is light and dry, such as wood chips, flour, etc., can be transported directly through the fan system. However, if the bulk powder and other materials such as plastic pellets, sawdust, grain, sawdust, etc., will be processed and conveyed, which is carried out indirectly in the centrifugal fan with the required airflow to strike the material in the desired direction.